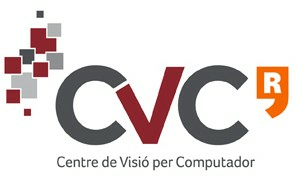 This paper presents a graduate course project on computer vision. The aim of the project is to detect and recognize traffic signs in video sequences recorded by an on-board vehicle camera. This is a demanding problem, given that traffic sign recognition is one of the most challenging problems for driving assistance systems. Equally, it is motivating for the students given that it is a real-life problem. Furthermore, it gives them the opportunity to appreciate the difficulty of real-world vision problems and to assess the extent to which this problem can be solved by modern computer vision and pattern classification techniques taught in the classroom. The learning objectives of the course are introduced, as are the constraints imposed on its design, such as the diversity of students background and the amount of time they and their instructors dedicate to the course. The paper also describes the course contents, schedule, and how the project-based learning approach is applied. The outcomes of the course are discussed, including both the students marks and their personal feedback.